Located off of the main hall, the Pavilion showcases an oyster-shell stucco patio with functional fire-pit. 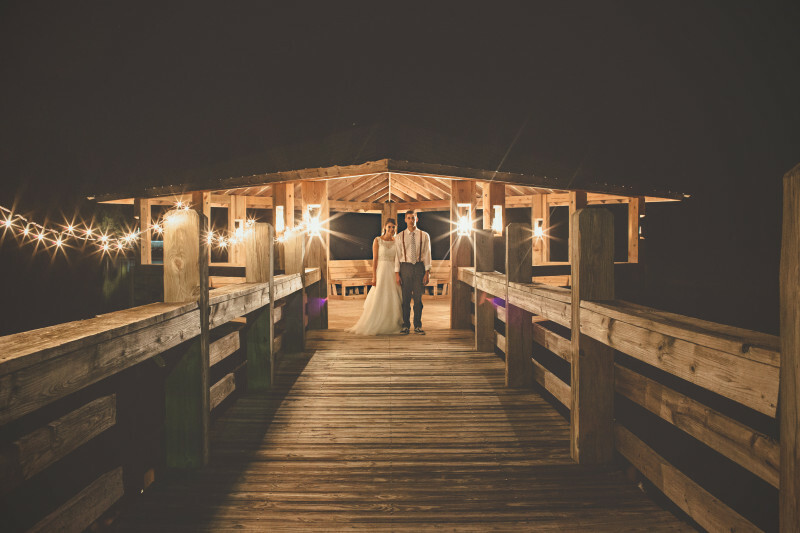 Beyond the covered patio is a spacious lawn area overlooking Pepper Plantation’s 10 acre lake….an ideal ceremony location and the preferred choice for weddings! 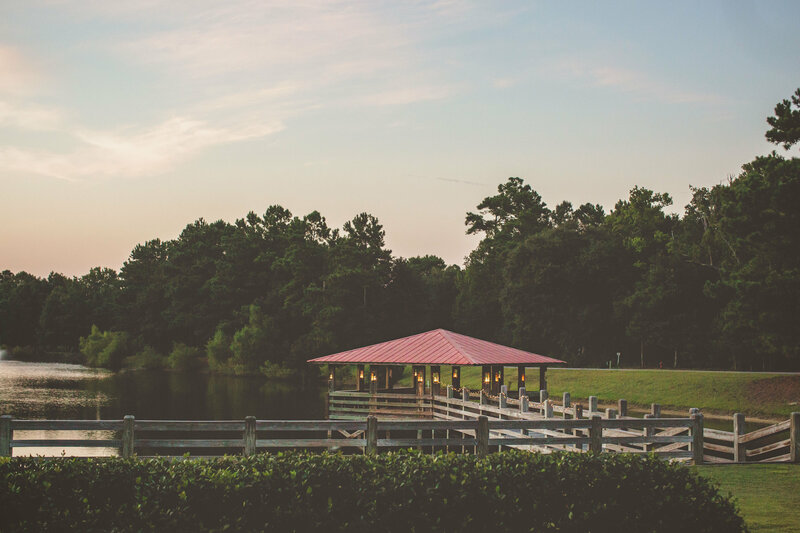 Just beyond the lawn, guests can enjoy a picturesque dock and gazebo overlooking one of Pepper Plantation’s stunning lakes. The gazebo seats 25 ceremony chairs and is the perfect location for smaller ceremonies right on the water. Guests are free to enjoy the lawn, patio and gazebo throughout the course of your entire event.